Alkylating agents: A group of drugs originally used to treat cancer, now used (in lower doses) to treat some forms of severe vasculitis. ANCA: Anti-neutrophil cytoplasmic antibodies. The abbreviation is pronounced just like the last name of the singer, Paul Anka. These antibodies are found in patients with some forms of vasculitis, particularly Wegener’s granulomatosis, microscopic polyangiitis, and the Churg-Strauss syndrome. Anesthesic: Means literally “without feeling”. A drug administered for medical or surgical purposes, that induces partial or total loss of sensation. An anesthesic may be topical, local, regional, or general, depending on the method of administration and area of the body affected. Arthralgias: Aches or pains in joints, without obvious swelling, warmth, or redness. Aseptic: Using sterile techniques or methods to protect against infection by microbes. Biopsy: Removal of a piece of a tissue or organ through either surgery or sampling with a needle to determine the existence or cause of a disease. Catheterization: The insertion of a small plastic tube into a blood vessel, for the purpose of infusing fluid or radio-opaque dye (as in angiography), or for the purpose of sampling blood. Cavity: A hollow area within the body. Constitutional: Symptoms	Symptoms that relate to the entire body as a whole, rather than to an individual organ. Constitutional symptoms include fatigue, malaise, and weight loss. Gangrene: Death and decay of body tissue, often occurring in a limb, caused by insufficient blood supply and usually following injury or disease. Lupus: A systemic disease that results from an autoimmune mechanism. Individuals with lupus produce antibodies to their own body tissues. The resultant inflammation can cause kidney damage, arthritis, pericarditis, and, sometimes, vasculitis. Meninges: The three membranes that cover the brain and spinal cord. The three layers are called the arachnoid (the “spider-like” innermost layer), the pia mater (the middle layer), and the dura mater (the “tough mother” outermost layer). Mimicker: A disease process that imitates or simulates another. For example, the lung lesions of Wegener’s granulomatosis may be mimickers of tuberculosis. MRI	Magnetic Resonance Imaging: Another fancy x-ray, similar to a CT scan. MRI scans also provide cross-sectional images of body organs. Because MRI technology involves the use of a large magnet, people with pacemakers, metallic aneurysm clips, and other metallic inserts are not eligible to have these studies. Myeloperoxidase	Abbreviated MPO: An enzyme found in many tissues and cells throughout the body. For reasons that are unknown, many patients with Wegener’s granulomatosis and microscopic polyangiitis make antibodies to this protein. Otitis media: Inflammation of the middle ear (the space just behind the eardrum). This may occur because of an infection or as a result of some forms of vasculitis, such as Wegener’s granulomatosis. Pathologist: A physician who examines tissue biopsies for the purpose of determining the precise cause of disease. Rheumatologist: A physician who specializes in the diagnosis and treatment of diseases in which the immune system has gone awry, leading to inflammation in a variety of organs. Systemic: Relating to a system or relating to, or affecting the entire body or an entire organism. 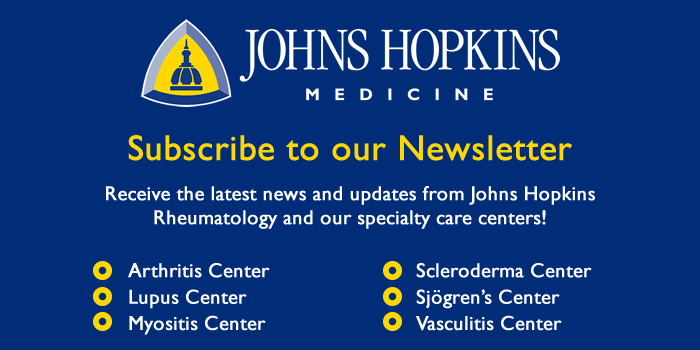 Vasculitis: What this website is all about!